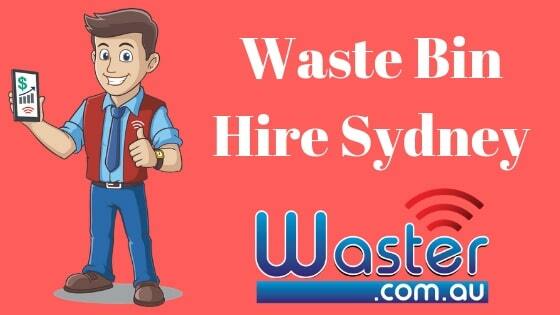 Waste Bin Hire Sydney - What Does Hiring A Bin Involve For Business? If you are a Sydney based business owner or manager – you may face having to organise your own waste bin hire Sydney service for your company. In many cases – for businesses, and other organisations such as charities, strata plans with more than a certain number of units etc – a local council may not provide a waste bin hire service – and you will need to engage a private waste management firm or recycling firm (or both) to provide your waste bin hire. In today’s blog – we will cover some of the things you should keep in mind before arranging your waste bin hire Sydney services – and what really is involved. 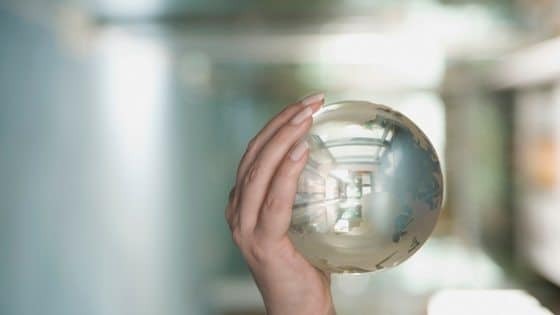 When you look into something new – there is always lots to learn – and let’s be honest – who has the time or inclination to spend too much time on comparing waste bin hire Sydney services? So just follow our simple guide! Waster provides thousands of small (and some not so small) businesses throughout Australia with cheap waste bin hire services such as general waste bin hire, recycling and other services such as grease trap. Click the blue banner above for details on pricing and bin sizes etc. – A collection schedule i.e. weekly, daily etc or whatever suits your business. – A padlock to keep the bin locked – and stop other people from dumping in the bin. Do you need to actually pay for the bin – or pay bin rental? Whether you have to pay a rental fee – or site fee for the bin provision will depend on the waste collection company you engage. Some companies will charge a set fee per week or month – whilst others may charge it all inclusive in the collection fee. Every company will of course have different ts and cs. We can not really speak on the other companies terms and agreements. You can check out Wasters ts and cs here. Does it make a difference what sort of waste I produce – i.e. for say a cafe vs an office? For waste bin hire Sydney in 2019 – it does make a difference what sort of waste you produce. For example – some companies only collect what is known as dry waste i.e. waste without large amounts of food waste or other organic waste (known as wet or putrescible waste). Some companies who collect dry waste in Sydney – are able to recycle a certain proportion of it – i.e. for recycling into new materials – or for usage as fuel through incineration. In some cases – over 90% of general waste collected through waste bin hire Sydney services can be recycled! Wet waste – such as produced by cafe, restaurant etc -will almost always go to a landfill in Sydney metro. If your waste is completely food based – you may consider an organic food waste option – where the waste goes for composting or energy generation. How long do I need to sign a contract for? The reality is that with most companies – you will need to sign up for 2 or three years. With Waster – we only operate on flexible 30 day agreements – so you are never locked into a contract that does not suit your business needs. Note – some older terms and conditions that were common in the waste industry such as rollover clauses – are now not valid for most small customers. What size bins are available for hire by my business? For commercial waste bin hire Sydney – you will be able to use bins from 240 litre wheelie bins up to 4.5 cubic metre front lift bins. There is obviously a huge size difference in question here – and these bin sizes are suitable for very different businesses – i.e. from a small office to a large factory. Check out our online shop for all bin sizes, bin dimensions and options. Do I need space for the bin? Yes – you should consider the space you have available at your location for the appropriate bin. For example – 240 litre and 660 litre bins generally fit through a standard door frame – this should be kept in mind if you have an internal bin room for storage. Front lift bins i.e. from 1.5m upwards – are emptied by lifting the bin over the truck. You will thus need considerable height clearance and will be usually unsuitable for in an underground carpark etc. Health and safety is also vital – and will require an inspection etc. If you have any other queries re waste bin hire Sydney services – please call our friendly service team who will be very happy to help you.